We are supposed to be different. If our lives are like everyone else’s, if we compromise and become just like the world, applying the world’s standards, it is like being completely tasteless and trampled underfoot. We cannot have kingdom authority operating in our lives if we operate according to the world’s system and values. We must put God first and do it His way. Salt was a very important substance in bible times. It was very precious and quite costly. In fact, the English word ‘salary’ derives from the fact that sometimes the Roman army was paid with salt. If you have ever been in hospital and had a saline drip, you will know that a certain level of salt is essential in your body. Salt brings out flavour. Our lives are supposed to be appetizing and appealing to others. God’s flavours include love, joy, peace, mercy, grace, faith, humility, and power. Those things will flavour the world around us as we live them out. Salt also speaks of covenant life. God has always dealt with men through covenants, life and death agreements that He made. It was literally an exchange of life, but men could never keep their side of the deal. We now live in the New Covenant, a covenant Father God made with Jesus, His Son – and Jesus is able to keep covenant. Through Him, we come into relationship with God, we promise our lives to be given to Him and He promises all His resources are made available to us. Our lives need to reflect the salt of God’s covenant blessings. We are here to be the head and not the tail. We are supposed to be over and not under the circumstances of life. We are to rule and bring God’s kingdom blessings and rule through it. That will be of benefit not just for our own lives, but for all those who come into our sphere of influence. This means that the way we speak, how we approach people, and how we interact with them should reflect the flavours of God. God wants to guide us in what to say, and the attitudes to have so that we will know how to respond to each person in a way that will attract them, not drive them away. Salt was also a means of preserving food from corruption. Salt helped meat last longer. It was a disinfectant from disease. It was used on dung piles to purify, and as fertilizer to help produce fruitfulness. Salt has many uses, but it has to be applied. If you do not apply it, it is of no use at all. We must be applied to the world to be able to influence and transform it as ambassadors of heaven. We cannot do it if we stay inside our buildings. We have to do it today in the work place, this evening in our home, at all times and in all our relationships. It cannot be something we switch on and off. If we truly are salt, if we ‘have salt within ourselves’ (see Mark 9:50), then we will be salty all the time. Wherever we are we are to be salt. We are also to be light. You are the light of the world. A city set on a hill cannot be hidden; nor does anyone light a lamp and put it under a basket, but on the lampstand, and it gives light to all who are in the house. Let your light shine before men in such a way that they may see your good works, and glorify your Father who is in heaven. (Matt 5:14-16). If we come to Him Who is light, everything we carry with and in us will be brought into that place of light. If you bring a light into a dark room, you can then see what is in it. Light will expose what is darkness, both in us and in the world, so that we can deal with those things. We do not have to hide in God’s light and in His presence. We can be free to be real and open because we know He loves us. His light is only there to bring us into more light. It is not there to expose us and make us feel bad, but rather enable us to live in truth. Our relationships with others will be lived out in the light: vulnerable, open and accountable. That is what discipleship is. It is walking in the light with other people who share the same common family, God’s family. God wants us to live open lives, not hidden ones, so that our lives are a demonstration, showing where the path is to real life. When other people see how we live, and how our relationships work, they will be drawn to want the same thing for themselves. This is the judgment: that light has entered the world, and men have preferred darkness to light because their deeds were evil (John 3:19). Jesus was the perfect example of light shining in the darkness. People should be able to see the light in our lives just like they saw Jesus’s light. That light throws everything into sharp contrast, and demands a decision from those who see by it. Will they choose good or evil, right or wrong? The more we come to reflect God’s glory, and the more He works through us, the lighter our lives become; the more we can actually bring light into darkness. We can be one of those God-colours that changes the way the world looks (see Matt 5:14 MSG)..
And He was transfigured before them; and His face shone like the sun, and His garments became as white as light (Matt. 17:2). I believe that what happened in the transfiguration is going to happen to those people who walk with God, who pursue and work through the transformation which He desires (‘transformation’ is the same word that is translated ‘transfigured’ in that scripture). The light strand missing from our DNA will be restored. Literally we will be glowing with light, looking visibly different from other people. God wants us to be a frequency of radiation of light. It is an explosion of the light that comes from God. Since God is light and we are His sons, this is simply our true nature as sons of light being manifested. And the whole of creation is longing and waiting in eager expectation for the day those sons are revealed (Rom 8:19). Before sin came into the world and darkness came, the universe was full of life and light. It will be like that again when we shine like the stars and like the sun. That is God’s desire. Light never stops lighting, and salt never stops seasoning. Let our lives reflect a different kingdom, and we will see that kingdom come, on earth as it is in heaven. 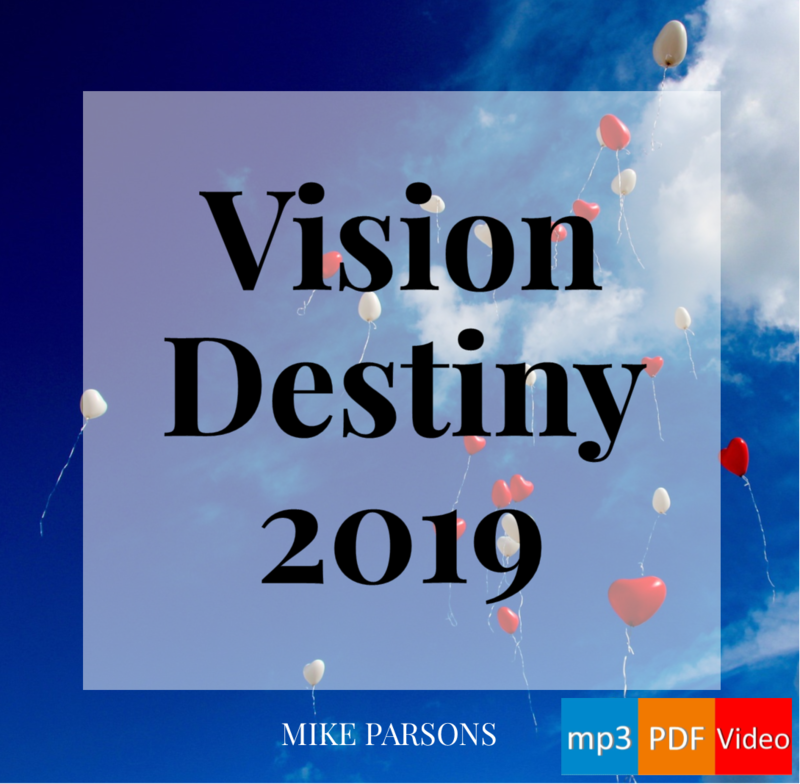 Ambassadors Of Heaven 2012 YouTube video and mp3 audio teaching series by Mike Parsons (this post is based on part of session 3).